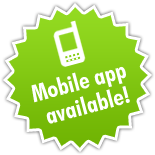 MobileVOIP is a free application which enables you to use Nonoh on your mobile phone! Download MobileVOIP and log in with your Nonoh username. You can now use your regular Nonoh credit for calls from your Mobile Device!